The Quality Hotel Lincoln green offers 70 well-appointed rooms with a range of standard, deluxe, superior and premium options available. All rooms feature contemporary décor, include Sky TV, WIFI access, pillow menu and tea and coffee making facilities. The Quality Hotel Lincoln Green features The Good Home Gastropub and 5 conference and meeting rooms that can accommodate up to 300 delegates, backed up by full catering services offering a variety of menus and dishes that suit every taste and dietary requirement. Free parking is available for 200 cars. 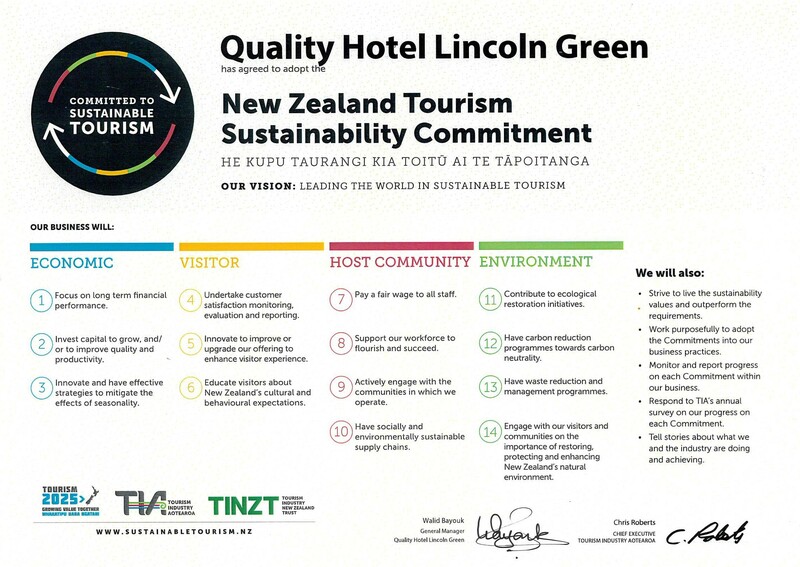 The Quality Hotel Lincoln Green is in West Auckland, 16.5 KM from Auckland’s CBD and close to several popular West Auckland points of interest such as Westware Aquatic Centre, Kiwi Valley Farm Park, Trusts Stadium and Westfield shopping Centre. Local wineries, Unitec Institute of Technology, Titirangi Golf Club. Auckland Zoo, Eden Park, Crystal Mountain theme park and gallery, bush walks and beautiful beaches are a short drive away. We have teamed up with West Wave Pools & Leisure to supply our guests with free swimming passes! A fifteen minute walk from the hotel and the perfect way to cool down or tire the kids out during this summer heat! If you are staying with us, be sure to inquire with our reception team for your pass.